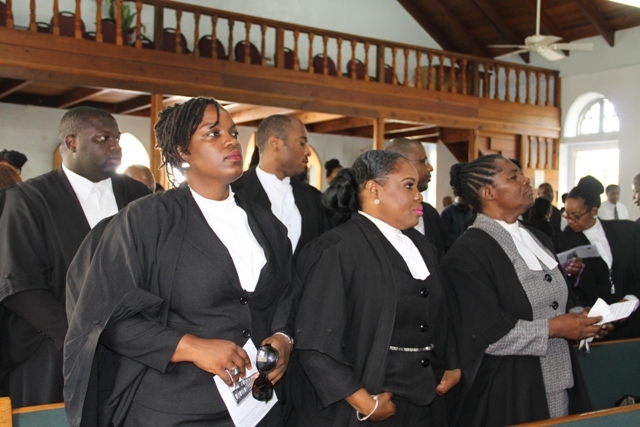 NIA CHARLESTOWN NEVIS (September 21, 2015) — The Nevisian public witnessed the ceremonial opening of the Eastern Caribbean Supreme Court new Law Term 2015-2016 at a Special Sitting of the Charlestown High Court and a commemorative service at Taylor’s Memorial Holiness Church on September 17, 2015. 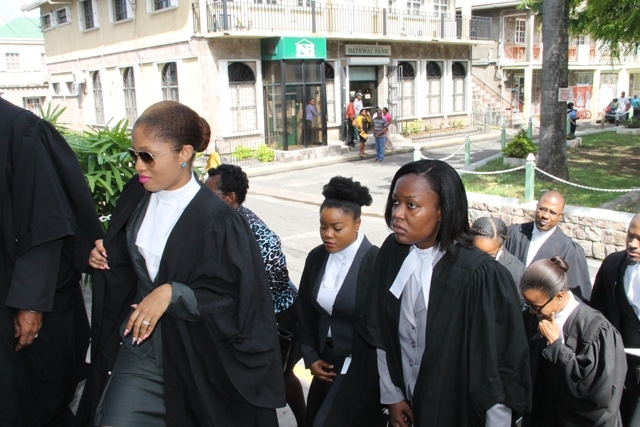 Resident Judge on Nevis Justice Lorraine Williams, in her opening remarks spoke of the strains of law and order by mandating that the court authority should be respected by all so in order to perform its role of upholding an efficient justice system. She referred to some of the challenges faced by the judiciary but advocated that members support each other in strength. Nearing the end of the special sitting, Justice Williams addressed concerns from Lawyer Oral Martin’s on the constraints of the Registry staff and assured him that a programme for training was already been prepared by the Chief Registrar of the Eastern Caribbean Supreme Court. Justice Williams also used the opportunity to applaud St. Kitts and Nevis as being a great country with a great people. She contended that the Federation has a judiciary that is second to none and is open and accessible to all. 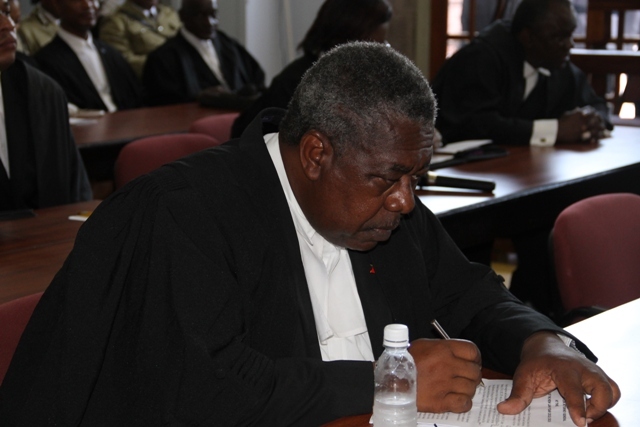 The Judge made reference to the Judicial Conference held on St. Kitts in July, 2015 where the government articulated its strong support for the judiciary. She reminded the Prime Minister that the government’s efficiency depended on impartiality and that the administration of justice depends on adequate staffing of the court and would only be feasible through government’s funding and support. Justice Williams projected 2015 – 2016 to be a year of progress, innovation and co-operation between governments, policy makers and the legal profession. 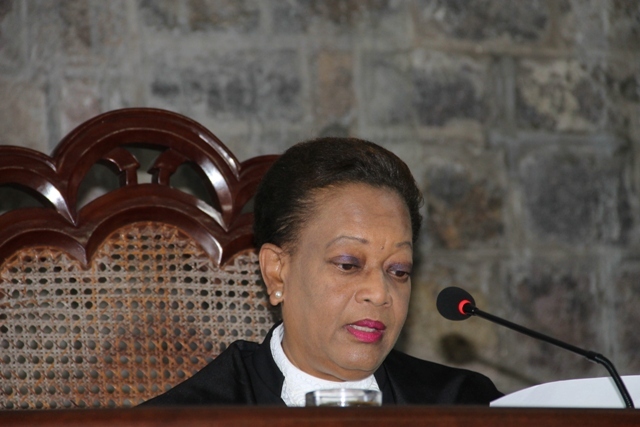 Meantime, Chief Justice Janice Pereira, in her live broadcast from the island of Grenada, looked at the holistic approach of the judicial system in safeguarding an effective and competent legal profession. She stated that the legal profession has come under scrutiny over the years due to the unethical practices of legal practitioners. She postulated that the honor and security bestowed on the legal profession from time immemorial have been compromised. The Chief Justice appealed to those attorneys whose conduct have been exemplary to continue to uphold the integrity of the profession and to be their neighbor’s keeper. Attorney General and Minister of Justice and Legal Affairs in St. Kitts and Nevis Hon. Vincent Byron, in his presentation at the special sitting, spoke of the Federal Government’s quest for justice and its pledge to provide resources to carry out these functions. He submitted various proposals to improve National Security, such as a Criminal Justice Strategic Board which will set goals to improve the justice system and the establishment of a second High Court Judge in St. Kitts. Among those in attendance at the opening of the New Law Year were His Excellency, Governor Mr. Tapley Seaton; His Hon. Deputy Governor General Eustace John; Prime Minister Dr. Hon. Timothy Harris; Premier of Nevis Hon. Vance Amory; Her Ladyship Hon. Justice Lorraine Williams and Hon. Justice Marlene Carter.